Change the color as you like. Everyone has a dream, even getting older. 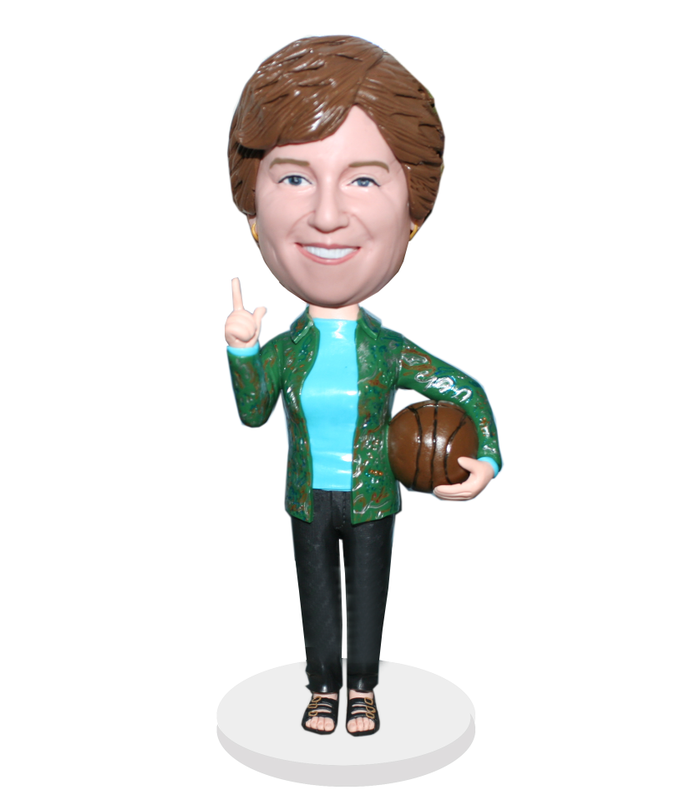 This customized fmale bobblehead depicts a woman dressed in casual, her left hand clutching a basketball. It’s a great gift idea to the woman who loves basketball games even she is an amateur. Have her smiling face on the customized bobblehead body, she will be surprised by the fun sculpted by artists.